The Xperia Tablet Z is the newest addition to Sony’s tablet line-up. 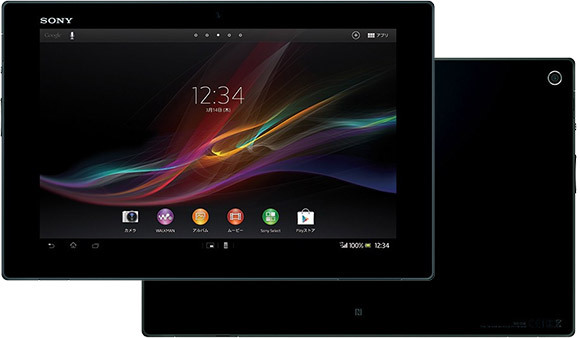 The tablet is a step above the Xperia Tablet S that the company had launched during fall season, 2012. Just a few months down the line, what we have with the Xperia Tablet Z is a slightly bigger and a lot better device. At its core lies a 1.5 Ghz quad core Snapdragon S4 chip, which together with a 2 GB RAM ensures breezy performance. Also, the Snapdragon S4 chip on-board makes the tablet compatible with 4G LTE networks and NFC. However, the most noticeable change with Tablet Z is its HD display that now has 1920 x 1200 pixels to light up a 10.1 inch panel. This marks a healthy improvement over the 1280 x 800 pixel 9.4 inch display that its nearest cousin, the Xperia Tablet S, comes with. With Mobile Bravia Engine 2 at work, what all of this translates to is super crisp and sharp images. Watching videos and playing games is much more life-like and the same applies to ebook reading, as well, what with the texts appearing sharp with less noise around the edges. Other key aspects of the tablet include 32 GB of storage, a micro SD card slot, and an 8.1 megapixel camera. The tablet runs Android 4.1 and will be available in both white and black color options. Another unique quality of the Tablet Z is its super slim profile, which at 6.9 mm makes it among the thinnest around. The Tablet Z also marks a departure from the usual Sony tablet design that sported a wedge shape so far. Instead, the Tablet X is more conventional with a rectangular build. The Tablet Z has also been designed to be water and dust resistant. An actual release date has yet to be revealed, though what is going to be even more crucial is its pricing. With the Xperia Tablet S selling for $400, the new tablet Z is expected to be even more pricey. However, the ideal situation for Sony to drive up sales will be to reduce price of Tablet S to around $350, while allowing Tablet Z to flourish in the $400 – $500 range.